Famed for green green countryside (thanks to plenty of rainfall), the British Isles are home to some of the most handsome landscapes you’re ever likely to stumble across. These landscapes were made for hiking. …for those brave enough to battle the fickle British weather. This sparse Inner Hebrides island is a sight for sore eyes. Rugged and relatively untouched in an over-populated world, the Isle of Skye really is a jewel in the crown. Scotland is well-known for its barren, brutish landscapes. Its winters are stark – a challenge for even the hardiest adventurer. But beneath its beasty facade is a vast natural grandeur that puts it firmly on the map for anyone with an itch to explore. 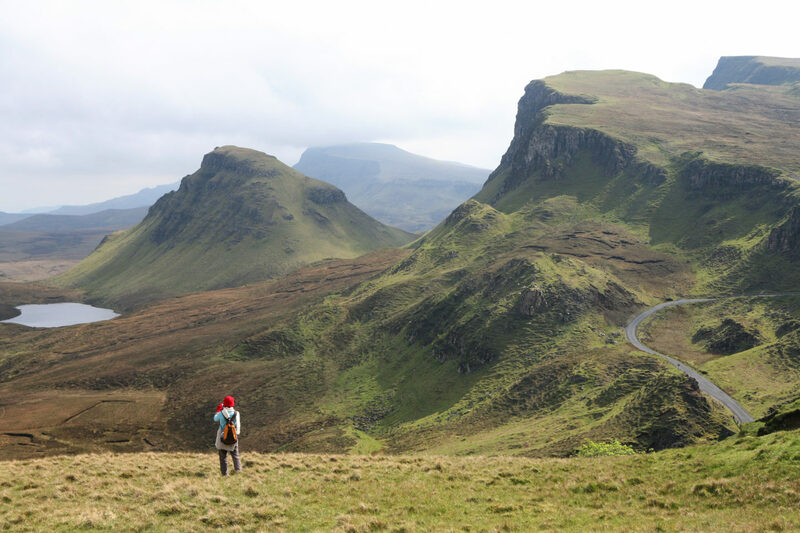 Jagged scrambles, hillside rambles and easy-going hikes can be found pretty much anywhere you look in Skye. With its coastlines, lochs and quaint fishing villages, the island has become a real tourist hotspot in recent years and you wouldn’t be wrong in calling it a ‘hiker’s paradise’. Derbyshire, England - February 3, 2016: Walkers at the Trig point on the top of Mam Tor on a bright winter day. One of ten National Parks in the UK, the Peak District is known for its limestone valleys and sprawling hillsides. Spanning 555 square miles (1440km²) it cuts through six different English counties – Derbyshire, Cheshire, Lancashire, Staffordshire, West Yorkshire and South Yorkshire. The Peak District is definitely a great place to start for any hiker looking to get acquainted with the heart of the British countryside. There’s something for everyone here. Rich in history, and littered with small towns and villages such as Castleton and Bakewell – you’ll find lots to keep you occupied on long walks. 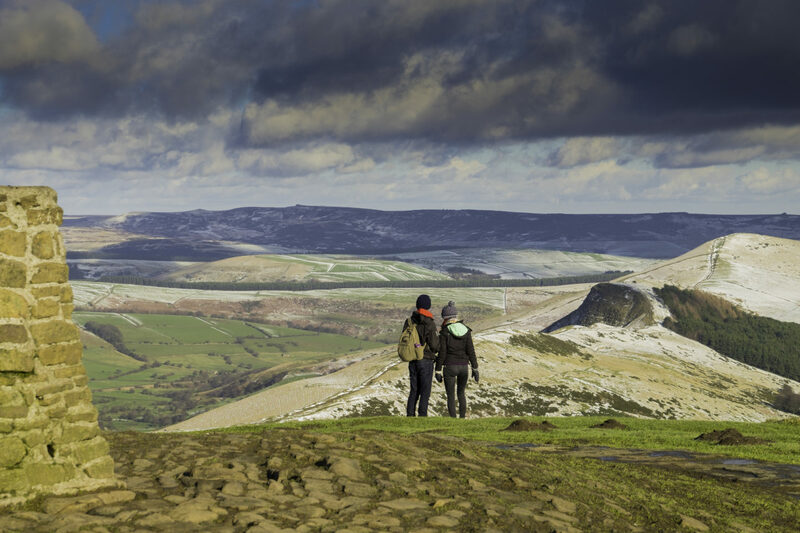 The Peak District epitomises both the natural and cultural identity of Britain that often go unseen by tourists. The Highlands cover a large expanse of Scotland. These regions include the Loch Lomond and The Trossachs National Park – and the Cairngorms, an immense stretch of mountainous landscape (part of the Grampians) that covers more than 4500km² of the eastern Highlands. The biggest region on our list, the Cairngorms is home to the coldest, snowiest plateau in the UK and five of the six highest mountains in Scotland. Its heritage and diversity also stand-out, with visitors flocking every year to see Balmoral Castle, Cairngorms’ wildlife and experience its very own Mountain railway. For hikers, this really is one to tick off the list. Characterised by bare natural beauty, harsh winters and epic trails, the Cairngorms is a haven for wanderers and trekkers everywhere. Take a short journey across the Irish Sea and you’ll find yourself in County Down. Shaped by the Ards and Lecale peninsulas, this region is known for its extensive rocky coastlines and challenging inland hikes. It’s no real surprise that this is a popular destination for hikers. Northern Ireland has a countryside like no other – and County Down typifies what we mean by this. Murlough National Nature Reserve hugs the easternmost shoreline, offering one of the most memorable coastal walks in Britain. 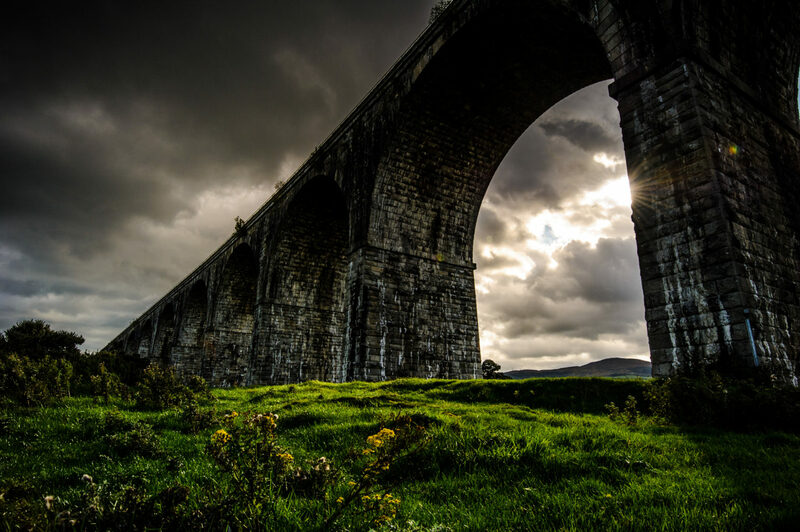 While further inland, Rowallane Garden and Tollymore Forest Park are also well worth investigating. If you’ve ever been to Cumbria, you’ll know full well why this region has so many advocates. Tucked away in the northwest of England, it borders with Scotland and is one of the finest, unspoiled areas of rural land in all of Europe. As a non-metropolitan county, Cumbria has seen its countryside flourish – and has pulled out all the stops to preserve its natural state too. It contains the Lake District National Park, which in July 2017 received UNESCO World Heritage site status (alongside the Grand Canyon, the Taj Mahal and Machu Picchu). 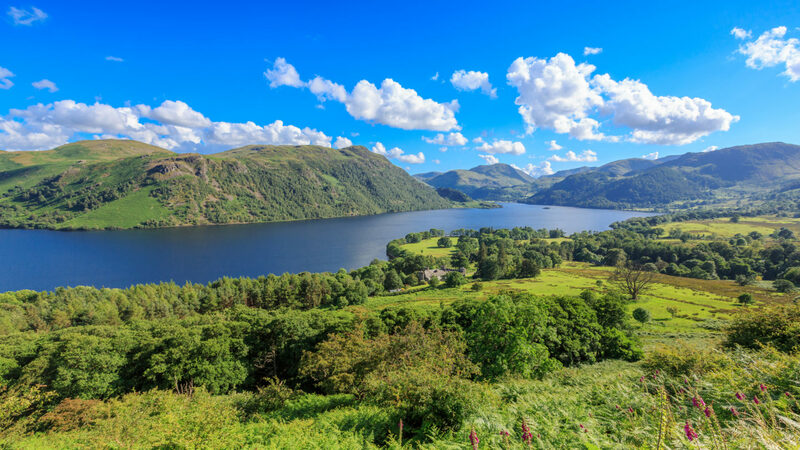 Just as the name suggests, the Lake District (aka Lakeland or The Lakes) supports a large number of lakes – including England’s biggest, Windermere – as well as forests and England’s tallest mountain, Scafell Pike. Along with the Lake District, Snowdonia made its way into our top mountain biking destinations to saddle up for earlier this year. And there’s plenty of reasons why it’s made the cut again this time round. One of three National Parks in Wales (Brecon Beacons and Pembrokeshire Coast are also ideal hiking spots) Snowdonia has pretty much everything you could want. This region has long been a favourite haunt for hikers, with some truly remarkable trails, peaks and waterways. 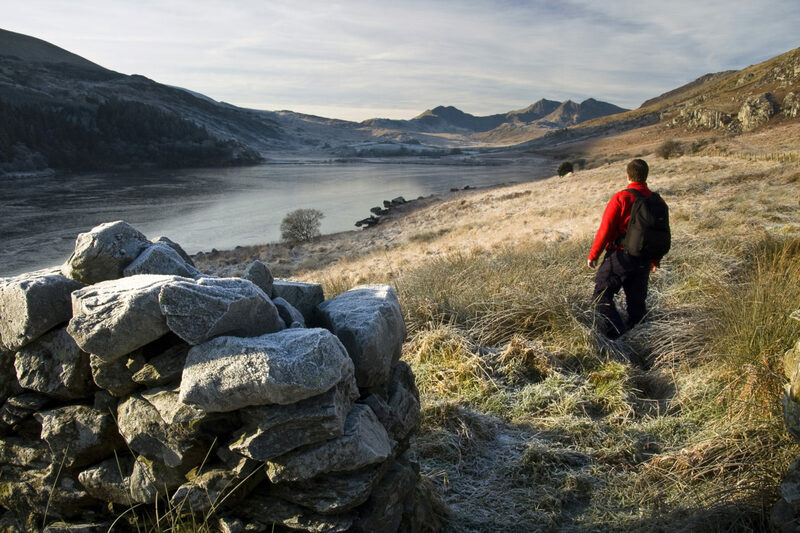 For peak baggers, there’s Mt Snowdon, which stands at 1,085 metres, and for those who enjoy less strain and more views, there are picturesque trails such as the awesome Llyn Ogwen circular walk. 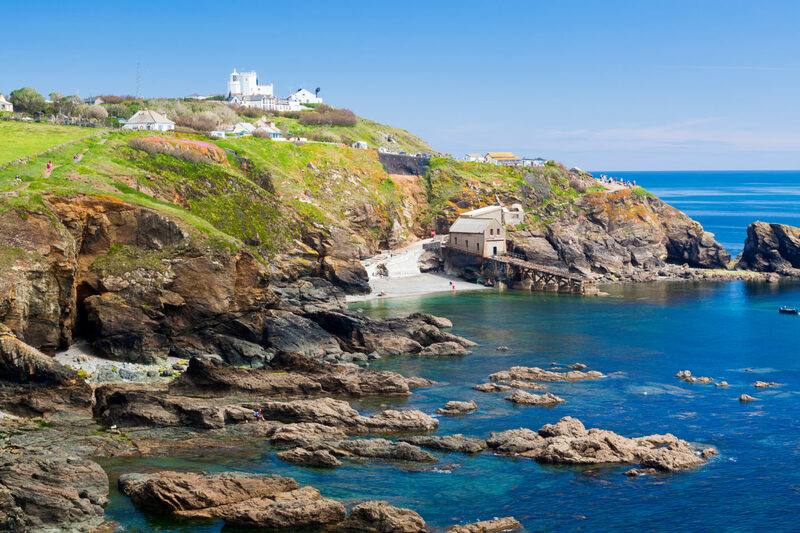 Renowned for its idyllic settings and mammoth coastline (the longest in the UK at 433 miles), Cornwall is often put in a category of its own. With some of the best weather anywhere in Britain, this far southwest county brings in hikers all year round. Adventurers come to experience beguiling shoreline trails that showcase Cornwall in all its glory. Age-old paths snake through the countryside, which transform with each passing season. The Lizard Peninsula trail in particular is striking. Its thriving ecosystem, endless slopes and craggy cliffs make for the ultimate hiking experience. It’s an accessible route for hiker’s of all ages and experience, attracting hoards of walkers year on year. 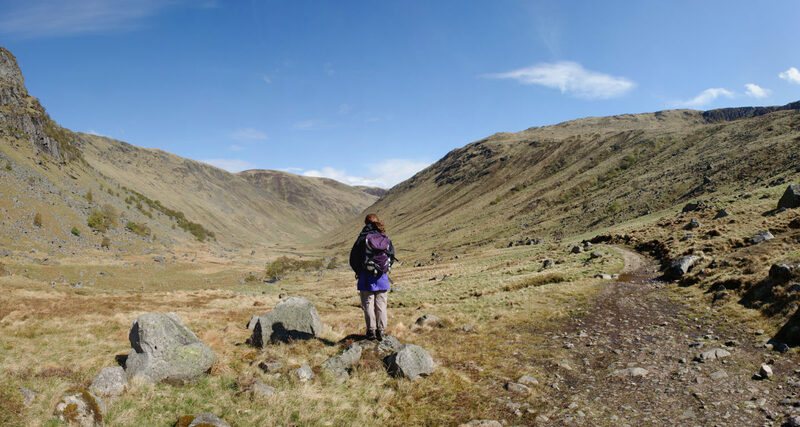 There it is – the seventh heaven of UK hiking. Each region has its own charm, but be aware they can become completely different beasts depending on the season. And of course, there are so many more hiking hotspots to chose from – too many to fit into one list! So (as always), when choosing your next hiking destination remember to keep in mind when you’re going, who you’re going with and which trails you’re venturing out onto. Britain’s natural landscapes are both beautiful and unforgiving. But find they’re also hugely rewarding, and once you catch the bug for UK hiking you’re likely never to lose it.